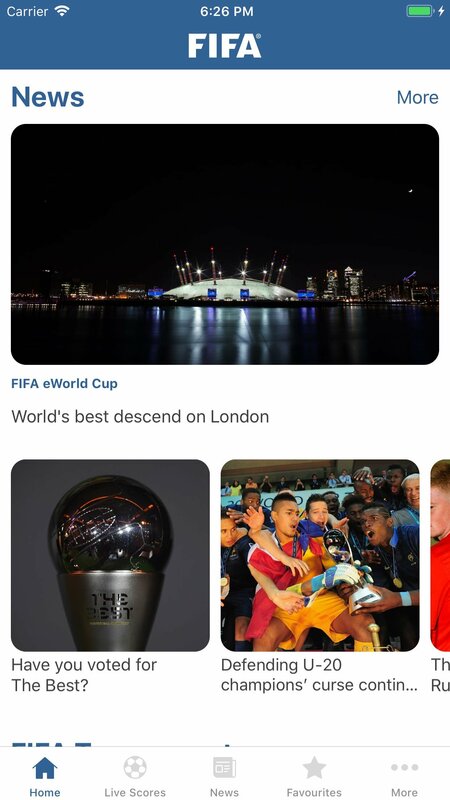 If you don't want to miss out on absolutely anything that happens during this event, you'll have to download 2018 FIFA World Cup Russia - FIFA App, the official application that will keep you up with all the news, live scores, group standings, timetables, dates, and calendars, last 16, quarterfinals, semifinals and the final, played in Moscow on July 15th. Definitely the best news app to follow everything that happens in the World Cup of Russia. 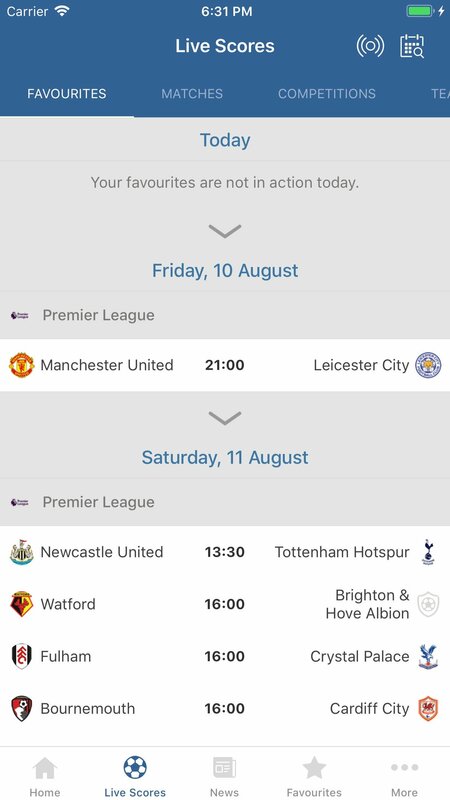 Follow all the news about your favorite team. Access the video and photo galleries. Listen to the official song of the World Cup. Read all the latest news about the tournament. Take a look at the players called up by each country. 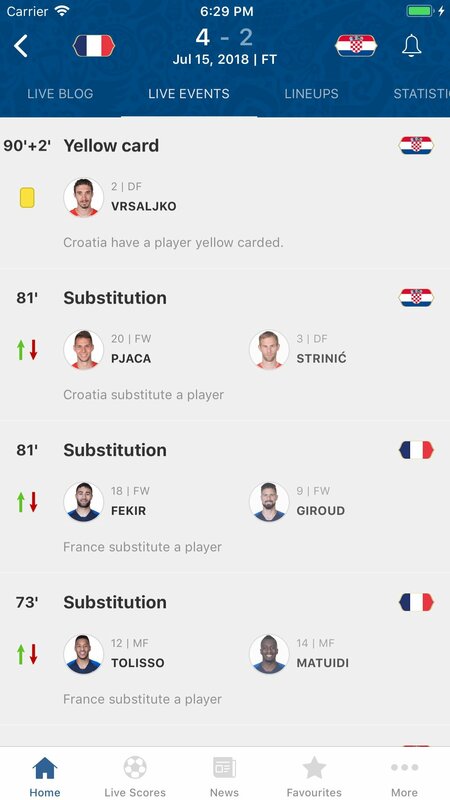 Receive alerts about goals and follow all the scores live. 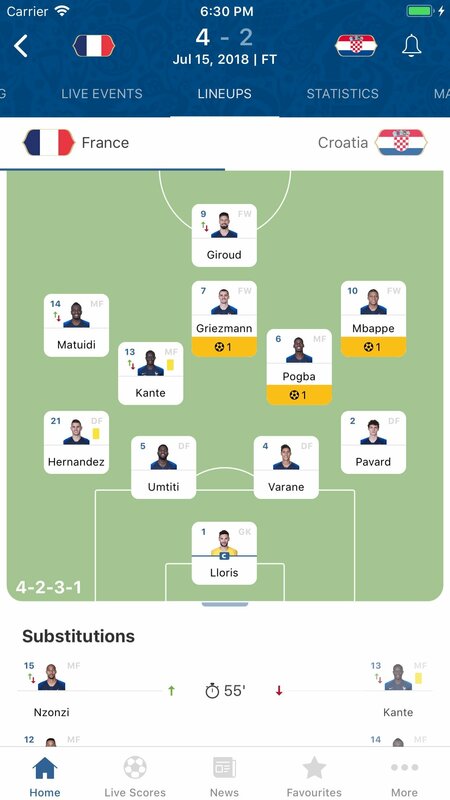 If you don't want to miss out on anything about the winner of this year's World Cup, don't hesitate to download the official app for iPhone. 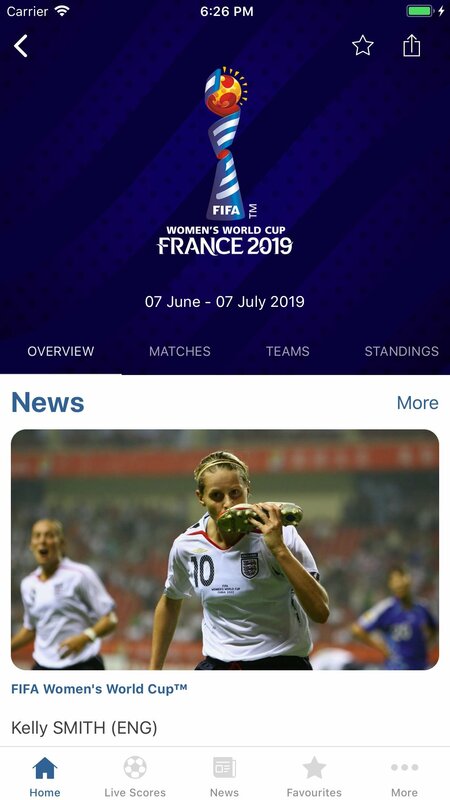 Everything you need to know about the most important football tournament in the world is available in this app.